This weeks ‘Week in Pictures’ focuses on elements in the bush that make life tough in the dry winter season namely lack of water, food and heat. 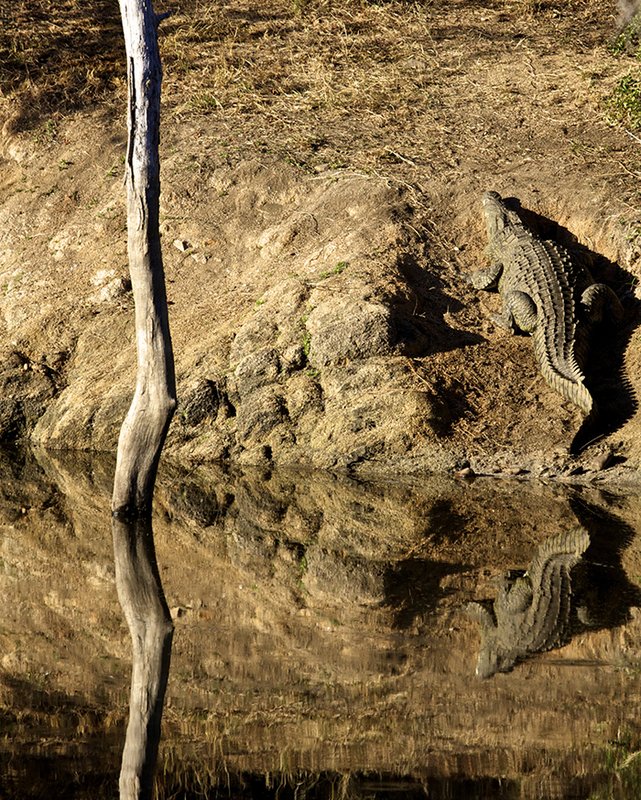 While rangers and guests struggle to keep warm on a cold winters morning, wrapped up in blankets, hugging hot water bottles with hands wrapped around a steaming cup of coffee, warming in the winter sun like a bunch of lizards… The animals have a far harder time surviving in the harsh climate going to great lengths to stay warm, travelling long distances for water and making every food source count, often resourceful in their behaviour. I hope you will enjoy this Week in Pictures. When life gets tough just think about some of the animals out there that are battling to survive! A very cold winters morning. 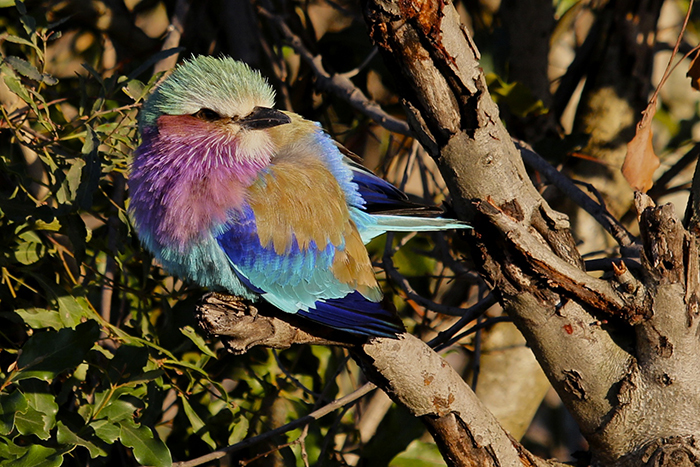 A lilac breasted roller puffs its feathers up to trap a layer of warm air between the feathers and body. 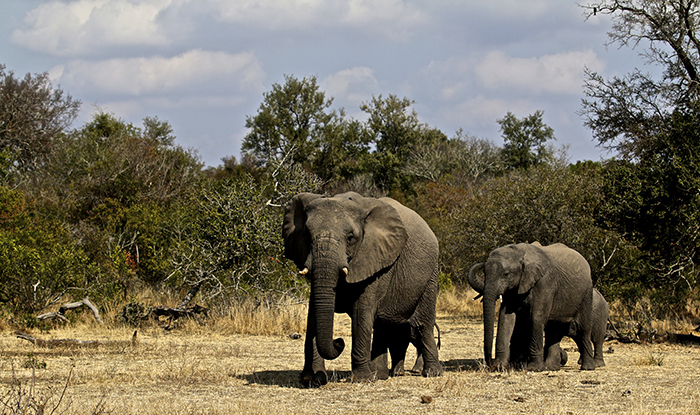 A small family of elephants moving out of the thickets. 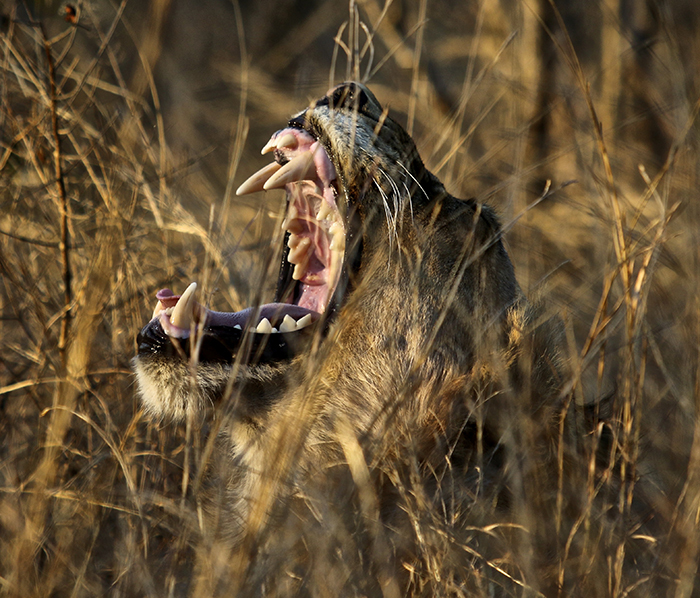 The quintessential yawn of a young lion of the Sparta pride. 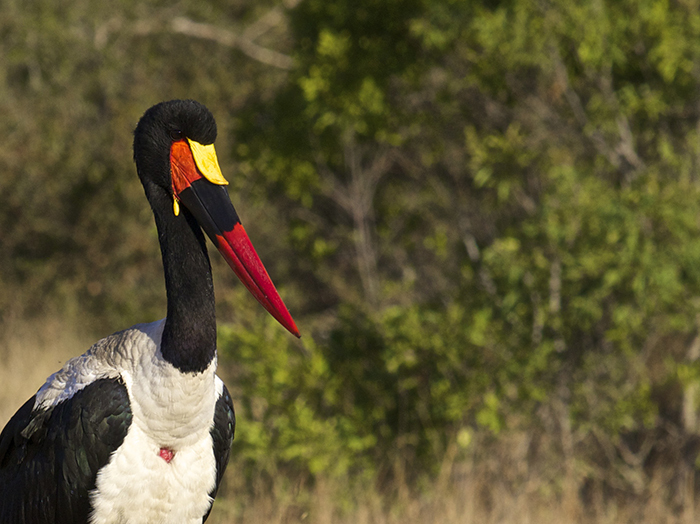 The impressive colours of the Saddle-billed stalk warming himself in the winter sun. We tracked the lost impala kill of the Tamboti female being dragged to the hyena den site where it was being devoured by the clan. A white rhino eyes us out carefully. 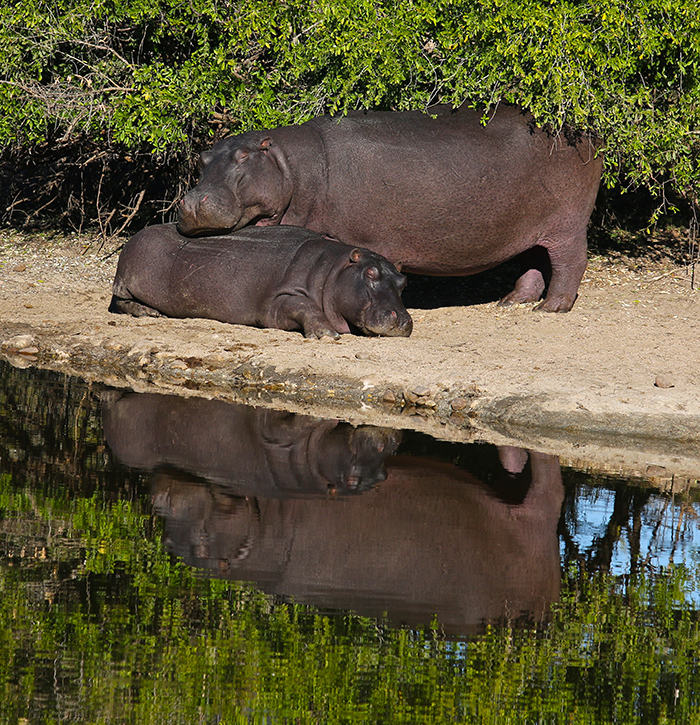 Adult and young hippo escape the icy waters to sunbathe. 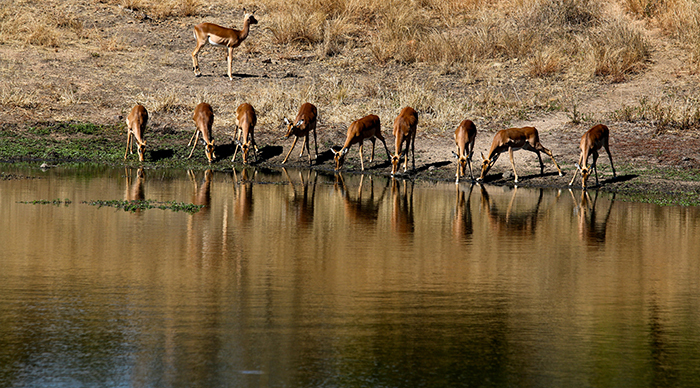 A rightfully nervous herd of impala coming down to drink at Taylor’s Dam. 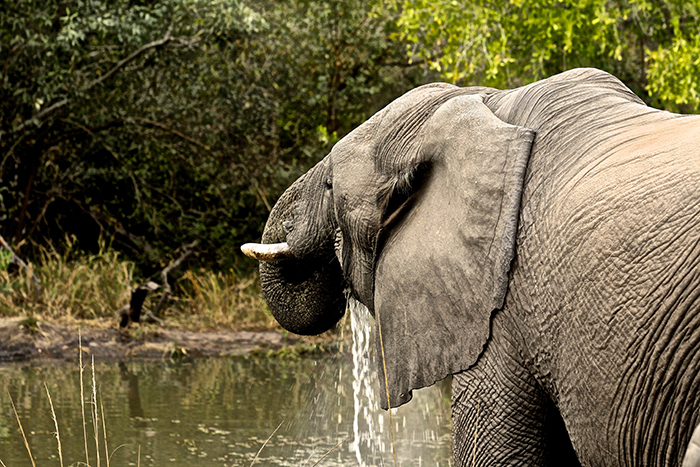 An elephant pauses to scent the quality of water before quenching its thirst. 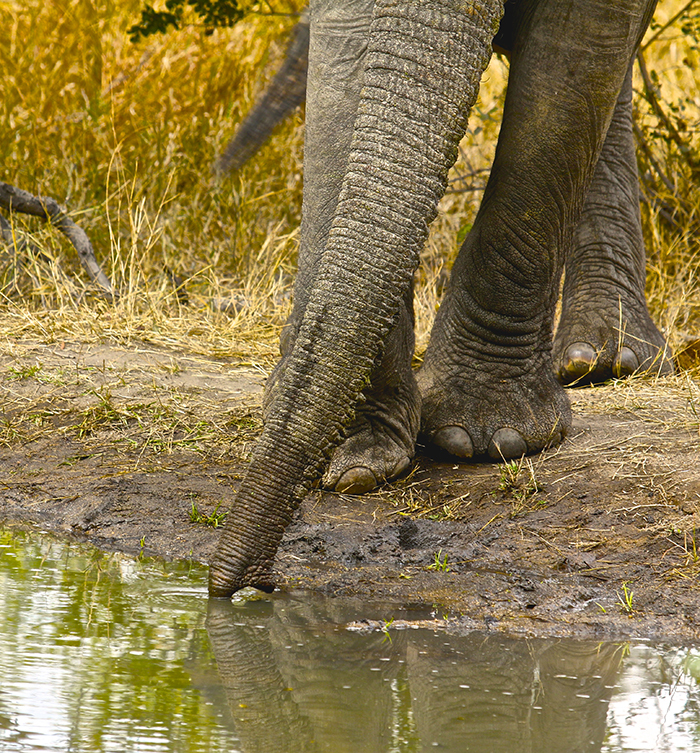 Large elephant bulls will drink up to 200 litres of water a day. 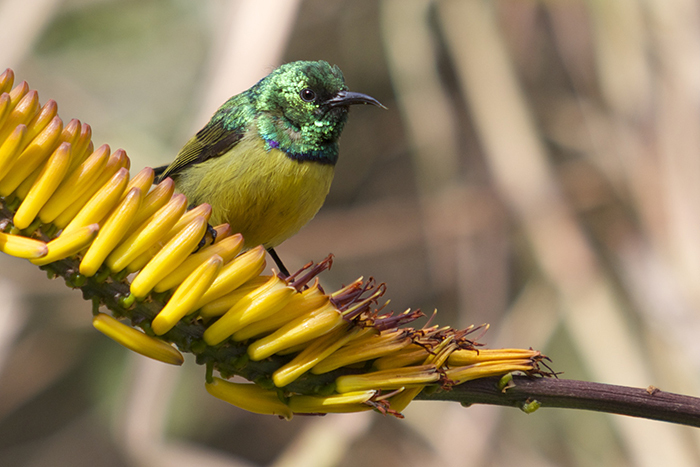 A male collared sunbird feeds on aloe nectar. If you are travelling to Londolozi in the next few weeks take a walk around the camps around Varty and Founders and have a look out for these small beauties. 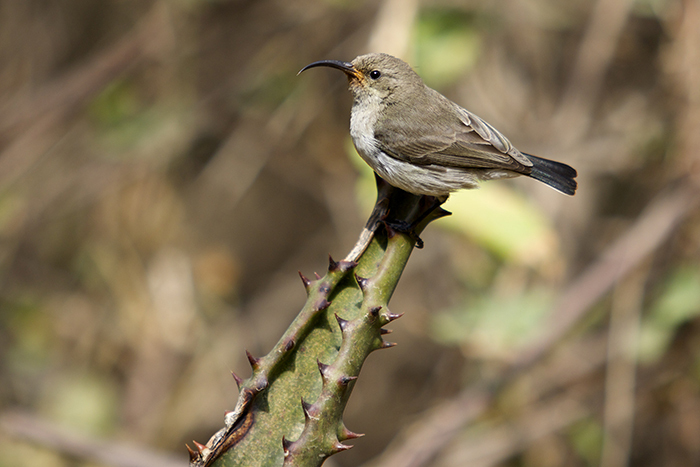 A female white bellied sunbird perched on the edge of an aloe. Notice the pollen around its beak. Birds are just as important pollinators as bees. A wildebeest bull chases a herd of cows while a lone giraffe looks on. Mike Sutherland describing the tail curl of the Tamboti Female which is caused due to animals such as monkeys, birds and impalas alarm calling at her. 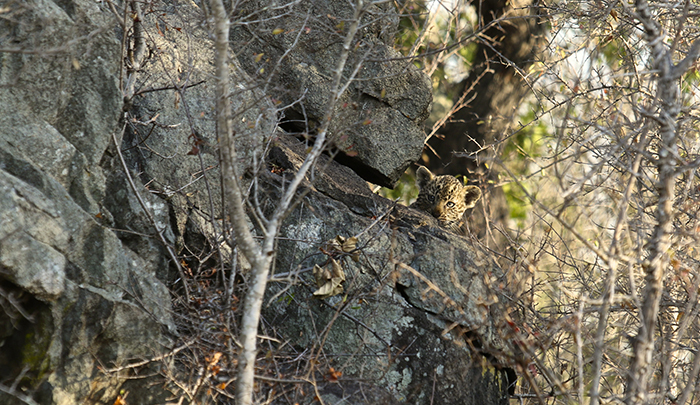 Nanga cub peeks out at us from its hiding place. 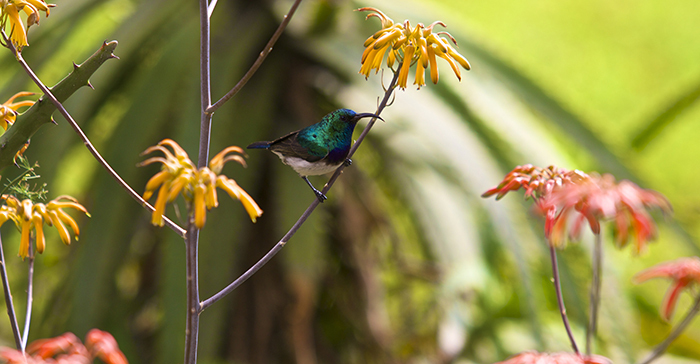 A male white bellied sunbird found feeding in the Varty car park. 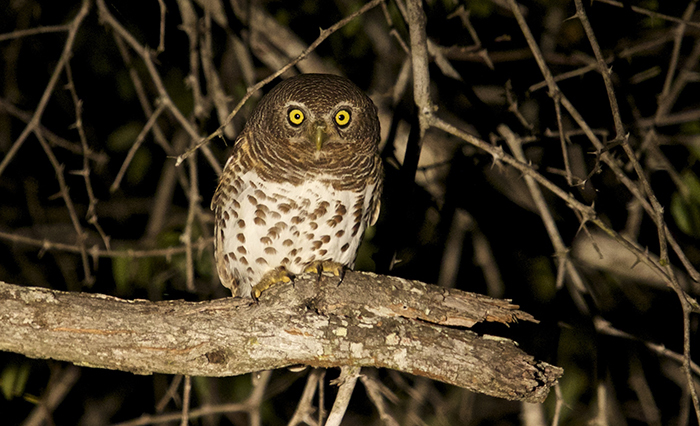 The creatures of the night – a barred owlet stares intently in my direction. 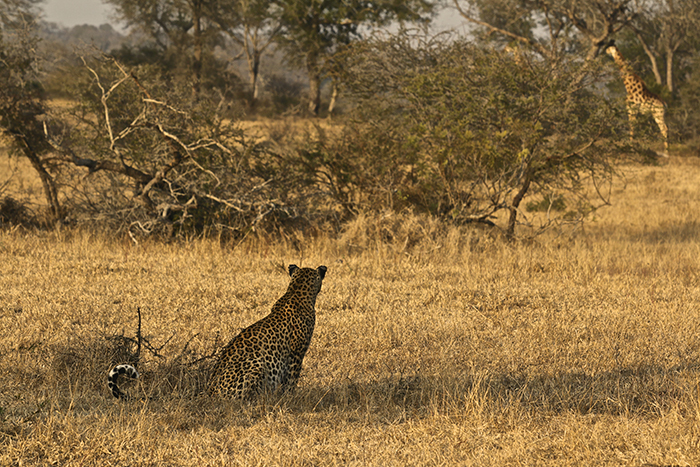 We found Tamboti female searching for a kill that had been lost to hyena. A civet cat emerges from the darkness, another creature of the night. A happy trio socialising after a cold winters night. One of the Nanga youngsters licks its lips clean after suckling. Who is watching who? 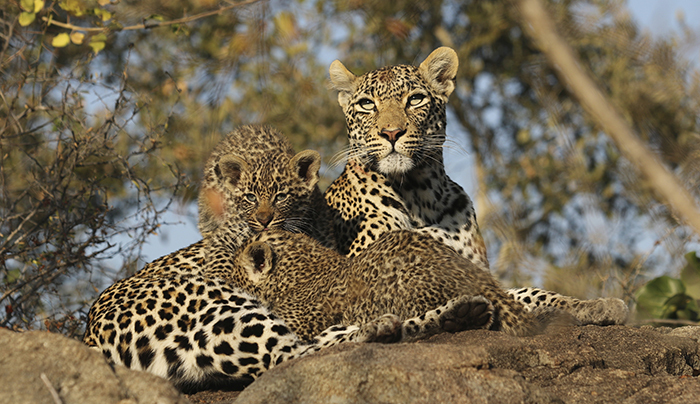 The mischievous cubs of the Nanga female. Written and Photographed by: Lucien Beaumont. Did you enjoy this week? Share your favourites with us in the comment section below. See more images from Lucien on his Facebook Page, click here. Awesome pics. 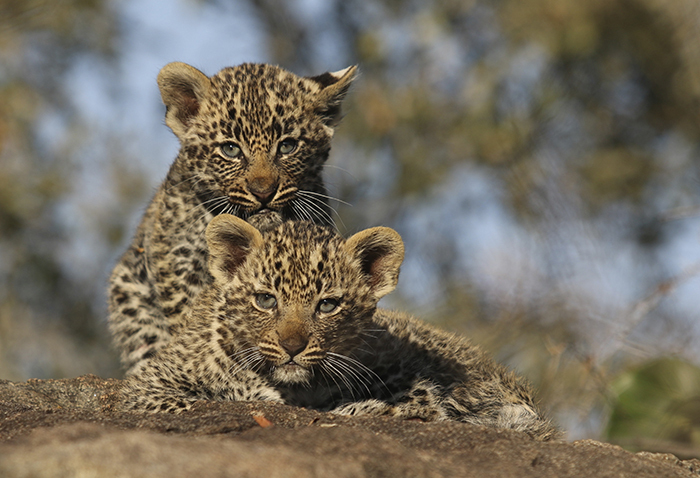 Beautiful images of the Nanga cubs. Love the photos of the reflections in the water. Well done Lucien, a great week in pictures. 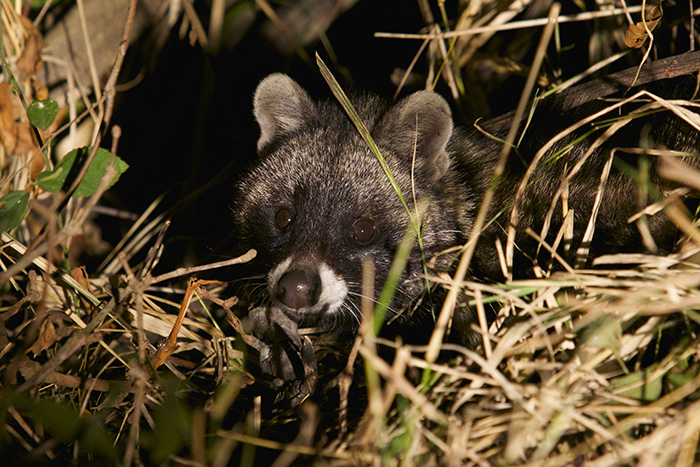 Love the cub photos, the civet and all the birds! Lovely pictures – Thank you! 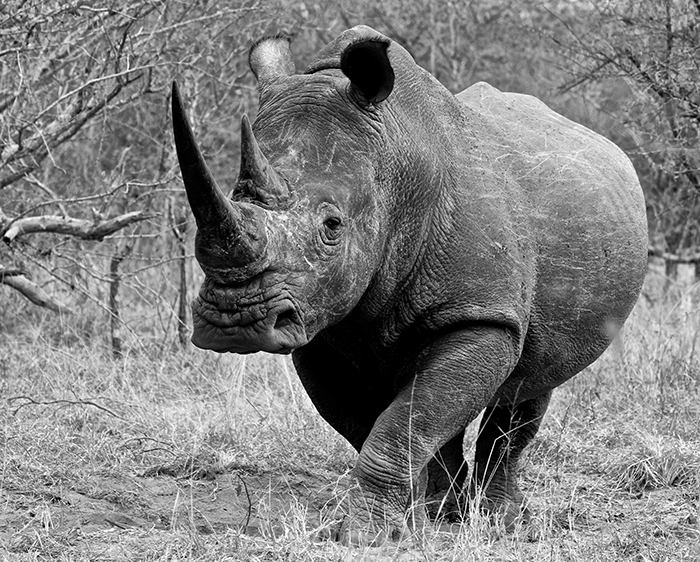 Every rhino picture fills my heart with love! The Lilac Breasted Roller & Saddle Bill are lovely (the colors!). 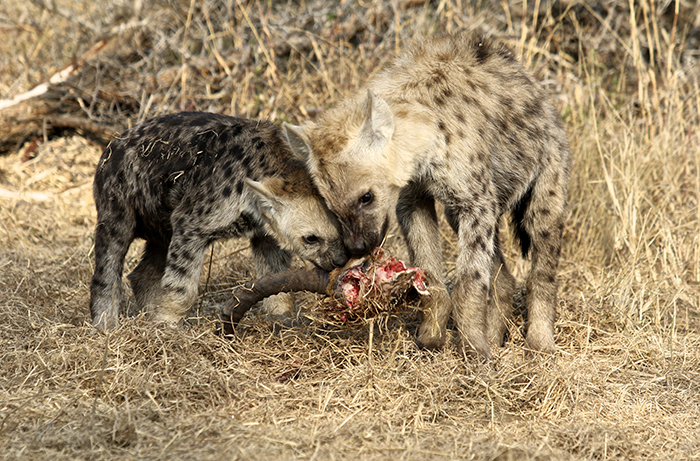 But the small Nanga cubs are my favorite for this week in pictures. Nice to see the Nanga female doing well and raising another litter. Love all your pictures of the family of leopards. 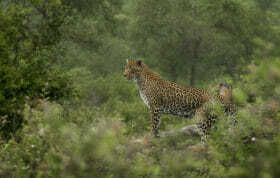 Poor leopardess loosing her hard earned mail to those eating machines & food thieves to the leopards, cheetahs & even lions ! OMG – Lucien, the leopard cubs are ADORABLE!!! Your reflection photos are amazing as well! Thanks for sharing and big hugs to Nadia! Beautiful photos Lucien! I especially love the leopard cubs, they’re so sweet! 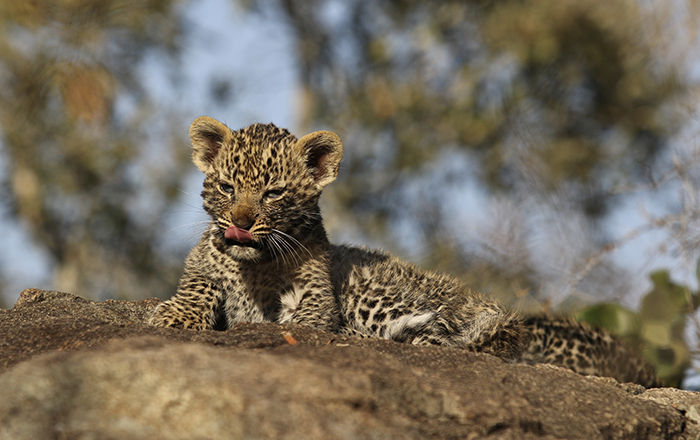 Thanks so much for the pics of the beautiful Nanga cubs! Mom is an incredibly gorgeous, relaxed and nurturing mother. I hope both of these cubs make it to independence. Have there been any sightings of the older Nanga cub? Can anyone explain why he was forced into independence so early? It was early, right? I so wish I could see these babies and Mom in person! Keep the pics coming! The Gowrie male and Maliliwane female can be seen further north sometimes and are known there as Lamula and Kwatile respectively. 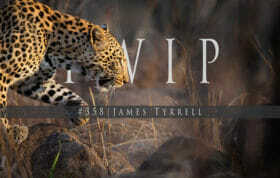 Multiple names makes it a challenge to follow certain leopards! 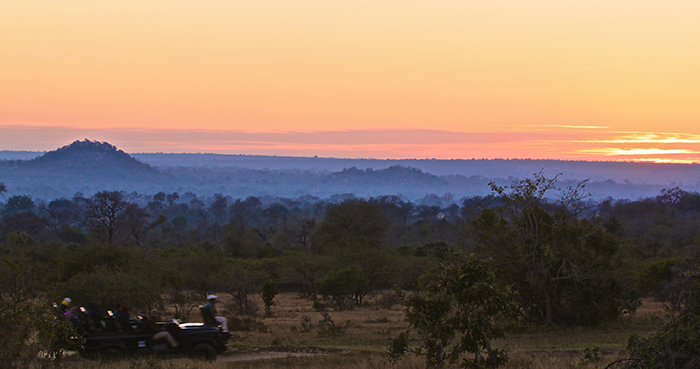 Londolozi has best, most comprehensive blog with the most stunning photos and information. 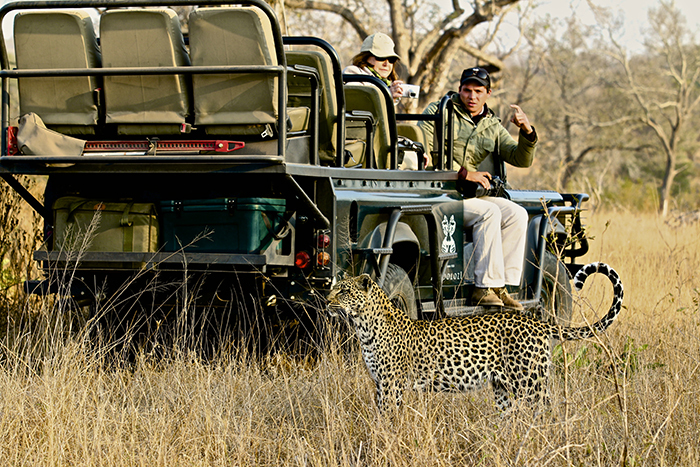 But sometimes there is good supplemental info on a few of the other Sabi Sands web sites. Most of the other reserves provide info on a weekly or monthly basis (if at all), not daily. 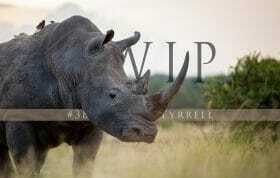 I really appreciate all who take the time to share their photos and experiences of the amazing wildlife. Amazing pics Lucian, liove the reflections and the cubs are amazing. We are with you guys in 4 weeks and can’t wait…. Thanks so much Brian for providing such a good update on the Nanga female and independent cub! Does the cub yet have a name, so I can follow if mentioned? Do we know why he was forced to independence so soon? Because of the new cubs?